Home » Personal Computing » Fitness Wearables » RESEARCH PAPER: Fitness Wearables- Who Is Positioned To Win In This Emerging HIoT Market? 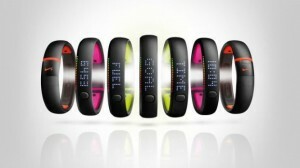 18 Nov RESEARCH PAPER: Fitness Wearables- Who Is Positioned To Win In This Emerging HIoT Market? Moor Insights & Strategy recently published a paper entitled Behaviorally Segmenting the Internet of Things showing how IoT has behaviorally split into two primary segments, the Human Internet of Things (HIoT) and the Industrial Internet of Things (IIoT). Inside the HIoT, there is a vertical industry segment, the fitness & health wearables market, which is in its early stages and will see major growth over the next 3-5 years. The winners and losers will be driven by companies that are able to establish themselves as true experts in health & fitness and become a trusted advisor on how to help their users reach personal health & fitness goals. This will require more complete tracking and a focus on Big Data analytics that turn data into meaningful insights. This paper was written by Brian Pitstick, a 17+ year marketing executive in the Fortune 500 technology market. He is currently a guest analyst at Moor Insights & Strategy where he writes about his passion for the emerging wearables market leveraging his strong background building innovative product solutions. Brian was recently executive director at Dell corporation, where he headed up innovative and award winning consumer products like the Dell XPS 12/13/18, Dell Inspiron Duo, and the Dell Streak 5. You can find Brian’s biography here. Posted by Patrick Moorhead in Fitness Wearables, Human Internet of Things (HIoT), Internet of Things IoT , Followed with 4 Comments.